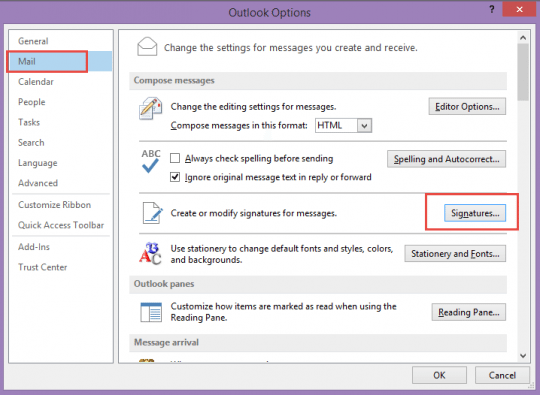 When you use Outlook 2010 or Outlook 2013, you can configure Outlook to automatically insert signatures. 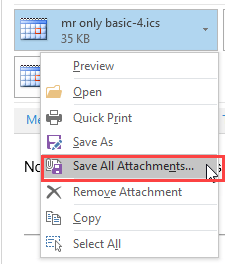 If you have multiple email accounts in Outlook, Outlook inserts the signature assigned to the account. When you select a different account after opening the message, the signature changes with the account selection or you can right click on the signature area and select a new one. 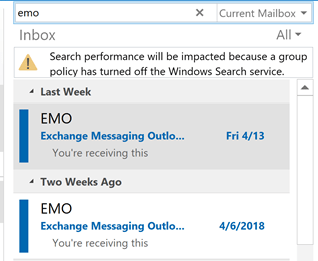 If you don't have Outlook configured to insert a default signature and want to use a signature with a particular message, go to the Insert tab and select a signature. Browse to File, Options, Mail and click on the Signatures… button to open the Signatures editor. Click the New button, type a name for your signature then enter the text for your signature. The signature editor list limited to the basic formatting commands, however, you can copy text or images from a Word document or email message and paste into the editor. I always use two dashes and a spaces as the first line of signatures because it's the Internet standard signature separator. I always create a blank signature. When you are finished creating signatures, assign a signature to each email account, for both new message and replies or forwards, using the Blank signature when you don't want a default signature. When you create a new email message, or reply to a message, and a signature is assigned to the account, a signature is inserted automatically. 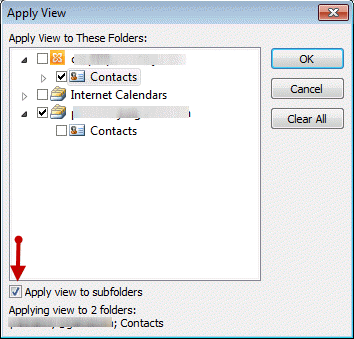 If you use multiple email accounts, Outlook inserts the signature assigned to the account. You can right click on the signature area and select a different signature. 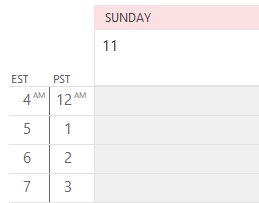 When a signature is not assigned to the account selected in the From field, a signature won't be added when an account that has a signature assigned is selected. If you aren’t assigning signatures automatically, you can insert signatures using the Insert tab, Signature command. If a message already has a signature, this command will replace the signature, as you can only insert one signature in a message. If you don't want to use a signature with an account, create one called Blank and assign it to the account. This way, if you switch accounts after selecting this account, the signature will change to the one assigned to the account. While you could just enter a space or two to create a blank signature, it makes it easier to locate the signature block when it's marked with a signature delimiter. I recommend typing two dashes and a space ("– ") then Enter, as this is the recommended signature separator in the RFC governing signatures. Having an easily identifiable signature placeholder also makes it easier when you right click to swap signatures or if you are having problems with spell check seemingly not working correctly. See Outlook signatures and spell check for more information. To find this folder easily, type or paste %appdata%\microsoft\signatures in the address bar of Windows Explorer and then press Enter. 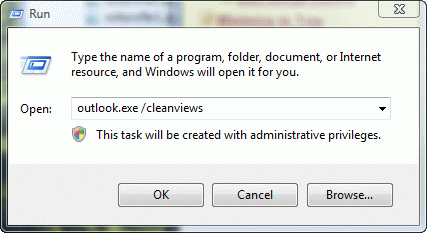 Outlook creates three files for each signature – one each in HTML, plain text, and RTF format. You can copy these files (and their associated folders) to back up your signatures or copy them between computers. When you copy signatures from an older version of Outlook, open each signature in the Signature editor and then click Save. This insures the HTML coding is updated for the current Outlook version. You can have only insert signature in each email message. Use Quick Parts to insert text blocks, not signatures. Published June 4, 2014. Last updated on May 5, 2017.